Please join Delaware Housing Opportunity Fund Inc (www.dehofi.org) in raising as much funds as possible for our Senior and Veteran homeowners in the State of Delaware. All proceeds go to provide essential repairs for senior and veteran homeowners in the State of Delaware stay in their homes safely. The car show starts at 2 pm and awards are at 4 pm. 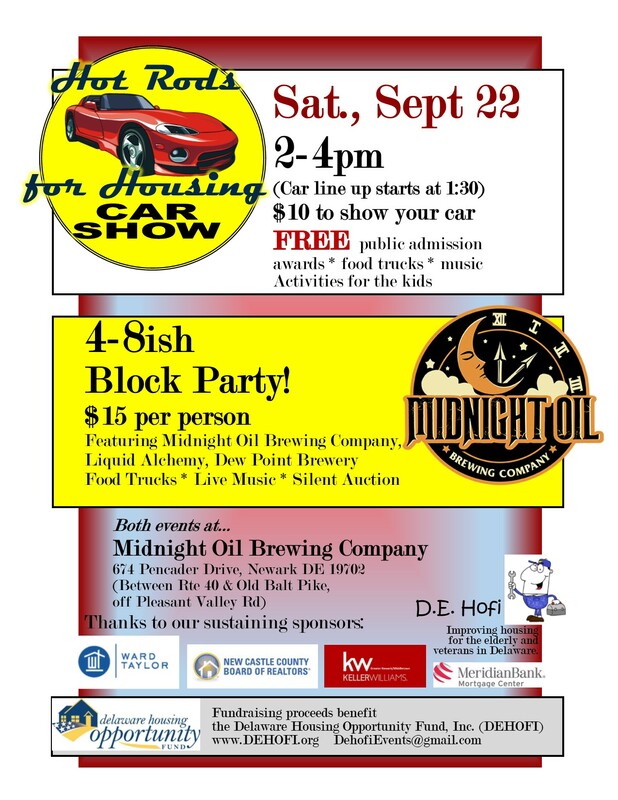 We will have a block party immediately following the car show. Cost for car entry is $10. Cost for block party is $15 and this includes 3 drink tickets for Midnight Oil Brewery or Harvest Ridge Wine. There will be live music and food trucks available.